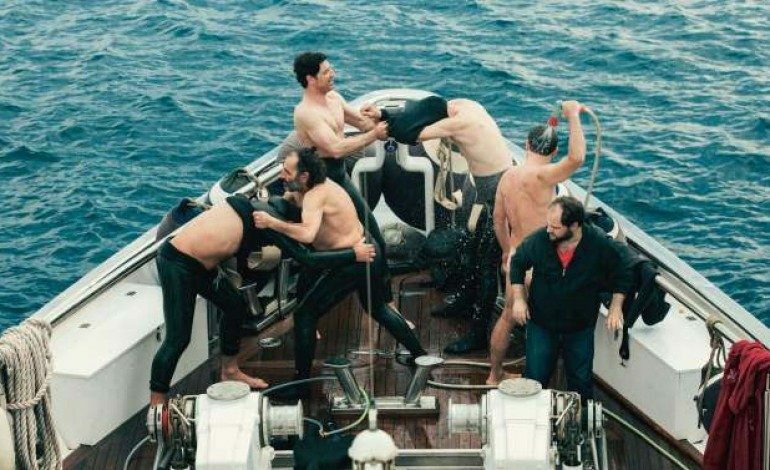 According to Variety, Los Angeles-based distributor Strand Releasing has acquired U.S. rights to the critically acclaimed Greek satirical comedy, Chevalier. Directed by Athina Rachel Tsangari (Attenberg), the film centers on six men stranded on a luxury yacht on the Aegean Sea who start competing with each other to see who has the best overall skills. Chevalier premiered at Locarno and played at the Toronto and New York Film Festivals. It garnered the top prize of Best Film Award at the BFI London Film Festival earlier this year, with the Official Competition jury stating “Chevalier is a study of male antagonism seen through the eyes of a brave and original filmmaker. With great formal rigour and irresistible wit, Athina Rachel Tsangari has managed to make a film that is both a hilarious comedy and a deeply disturbing statement on the condition of western humanity.” At the New York Film Festival, Tsangari was honored as the 2015 NYFF Filmmaker in Residence. Strand Releasing is planning a springtime release for Chevalier.